A team of faculty and students from Rochester Institute of Technology is developing a game system that will help undergraduate college students navigate the barriers to academic and social success. 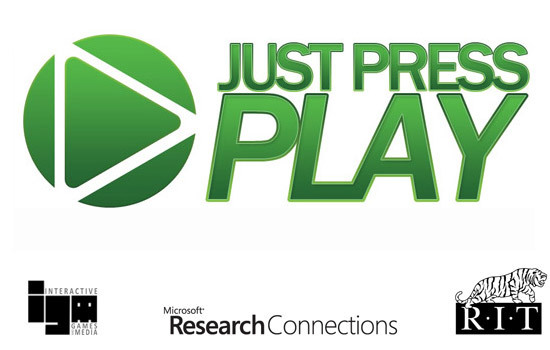 The Just Press Play project, an experiment that applies game design principles to the undergraduate student experience at RIT, is being funded by Microsoft Research Connections. Microsoft is teaming up with RIT’s School of Interactive Games and Media as part of the company’s Games for Learning Institute, whose mission is to study and create games that are fun, educational and effective. The Just Press Play project aims to produce a series of steps that encourage student development through achievements and formative feedback in a game scenario. A UCLA Higher Education Research Institute study revealed that the emotional health of first-year college students dropped to record lows in 2010, based on the students’ self-evaluations. The study also found that students of the digital age are more likely to drop out of college when they see little correlation between material covered in class and its application to a career. 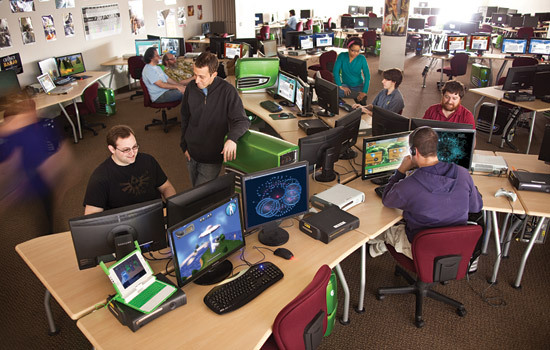 “We want to create a platform that deeply integrates with the school’s core student information systems, in order to create gameful experiences for students that pervade their digital and analog lives,” says Andrew Phelps, professor and founding director of RIT’s School of Interactive Games and Media. Phelps developed the project in collaboration with Elizabeth Lawley and Elouise Oyzon, both professors in RIT’s School of Interactive Games and Media. RIT is partnering with the University of Wisconsin, Teachers College at Columbia and the New York Law School on the project. “This is a significant undertaking in pedagogical research and we couldn’t do this alone,” Phelps says. To learn more about Just Press Play, go to http://play.rit.edu and www.igm.rit.edu.